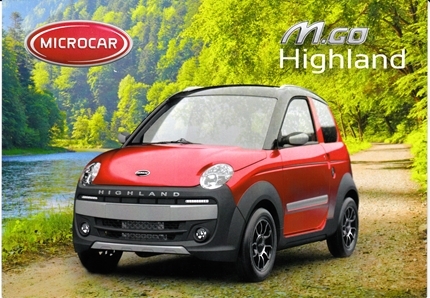 Compact cars like the new Microcar M GO Highland and Aixam Crossover are the future for short journeys and round town driving - they're nippy, easy to drive and simple to park, they've got great visibility, excellent fuel economy, cheap road tax, low insurance and they're fun too! You can even drive one on a B1 motorcycle license. With parking and fuel costs an ever growing problem, our new range of compact city cars is a very attractive solution. New vehicles from only £7500, up to 78 mpg, minimal service costs, up to 2 years warranty - nobody competes with compact cars or BerryBrook for value! When it comes to striking a great deal on a new Microcar compact car we're the people to talk to - as one of the UKs largest, and Devon's biggest compact car dealer we always have an excellent stock of new compact cars including the all new Microcar M GO, and we're always willing to offer you the best deal we can. As the compact car specialists with a long history of dealing with compact cars and Reliants, we also carry a large range of quality used compact cars, including Microcar Virgo, Ligier Ambra, Aixam and Reliant Robins, providing even lower cost options. We also supply All parts and offer Microcar, Ligier, Aixam and Reliant servicing.